Loved it ! Perfect for my table ! 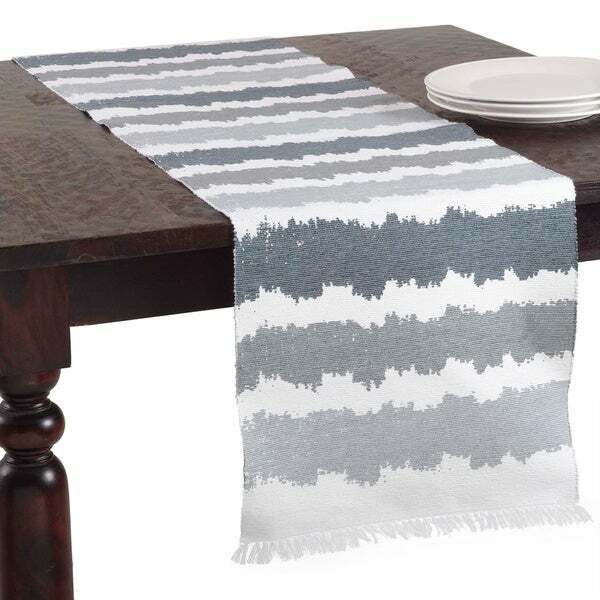 Dress your table in comtemporary style with Saro Lifestyle's ribbed ombre design table runner. This runner is perfect for everyday entertaining. Bought two of these in the purple. They work well & kinda have boho vibe to them just what we were looking for! They are priced right as well. "Are the stripes on the rouge version pink tones or coral tones? Thanks!" It is more of berry pick tones.